This Saturday Sounds of Christmas comes to St Ives - a day of music and performance all around town. Pantomime fun, choirs and other music. 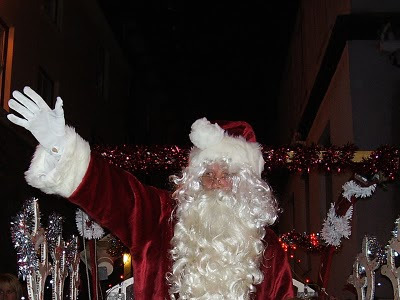 Santa will be in his grotto at The Glass Tree on Fore Street from 2..00 to 4.00. Also at the same times on Sunday (19th) and Thursday (23rd). Here is a selection of shops worth that you can visit for your Christmas food and gifts. Harvey Brothers Family Butchers, on Tregenna Place, have some great choices for Christmas dinner - including traditional turkey plus turkey crown, goose, duck and free range chicken. They also have a delicatessen range including cooked meats, pies, pâtés, olives and cheeses. You can order online via their website, phone or call in at the shop. The Digey Food Room has a range of Cornish food plus Italian and Spanish delicacies. Their drinks range includes Cornish cider and for something different - nettle beer. Their café serves hot food and snacks throughout the day. Kuiama Crafts on Fore Street have some wonderful gifts including hand made felt and quilts - each piece is unique and original. They also stock a range of other gifts. St Ives Leathercrafts on Fore Street have handmade leather bags in a range of styles and sizes. They also specialise in trophy buckles and have a vast range to choose from. The Floral Shop can supply all your Christmas flowers - they have a range of special Christmas arrangements plus cut flowers. They can also design a unique flower arrangement just for you. 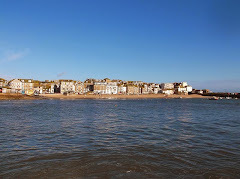 Have a great Christmas in St Ives !